It's just about time for Spring Cleaning again and we understand that it can be overwhelming, at best. What if, instead of cleaning the house, you could be enjoying yourself while the professionals at First Coast Home Pros did the work for you? 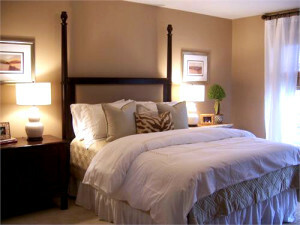 Check out our full list of housekeeping, interior and exterior services here and contact us to schedule an appointment. 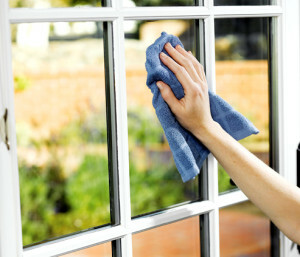 Spring is calling your name...let us freshen up your house for you! There may be no place like home for the holidays, but with a third of the nation traveling each holiday season, you're likely to have visitors. Since you want to make your guests feel welcomed, the best way is to have a clean home. You may be looking for a maid cleaning service in Jacksonville that can help you with the tough holiday cleaning, or you may try to do some of the work yourself. With the holidays fast approaching, there will no doubt be lots of people coming and going from your home. Hopefully, most of your guests will be planned, giving you time to give your home a proper cleaning in Jacksonville. But what do you do when last minute guests arrive and your home is not ready? By keeping a few simple tips in mind, you can give your home the appearance of clean, should you find yourself with those unexpected guests. These quick and easy tips are designed to give you enough time to do a quick once over of your home without your guest suspecting anything. In fact, they just might be amazed by how you are able to keep your home looking so clean. This checklist was created by First Coast Home Pros to provide professional quality results for home cleaning service in Jacksonville. If you have the time and all the materials, you can do all or just part of it. While winter in Jacksonville isn't harsh, fall should remind you that holidays are on their way and it's time to get some cleaning done, before things begin to get cold. Fall is a great time for cleaning. Because it's much cooler, you won't find yourself exhausted in the heat. Outdoor chores such as raking leaves can be a fun experience for the whole family. It's also a good time to do some yearly indoor tasks such as pulling out seasonal clothes or purging papers. Even though some fall cleaning should always be done by you, it doesn't mean that you have to do everything on your own. If you have cleaning chores on your list that you hate to do, have mobility issues or just plain don't have the time, a reputable cleaning service can help. Kids and a clean home tend to be opposite of each other. In reality, your children can learn some of the basic skills needed to make sure your Jacksonville home is tidier and kept together. Some of the common house cleaning services that your children can learn is outlined below. Kids as young as two can begin learning to sort clothes. Young kids will often feel that sorting clothing is a game. Older toddlers can aid in putting clothes away. Children who are school-aged can begin learning how to fold laundry and putting clothes into and out of the washer and dryer with adult supervision. By the time kids are between eight and 10 years of age, they are mature enough to have full responsibility for loading and unloading the washer and dryer. If you begin teaching these skills when they are young, they will understand the entire process of doing laundry by the time they are 10 or 11.